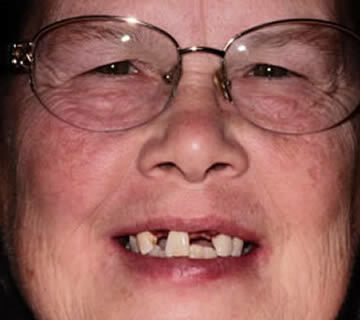 Allison had worn teeth with old fillings. 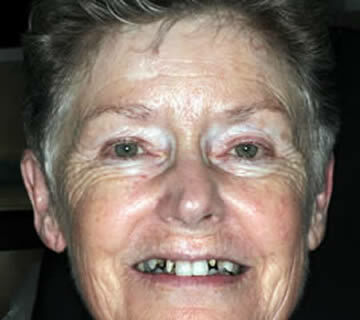 She originally thought she wanted all her teeth pulled and implants placed to replace the teeth. 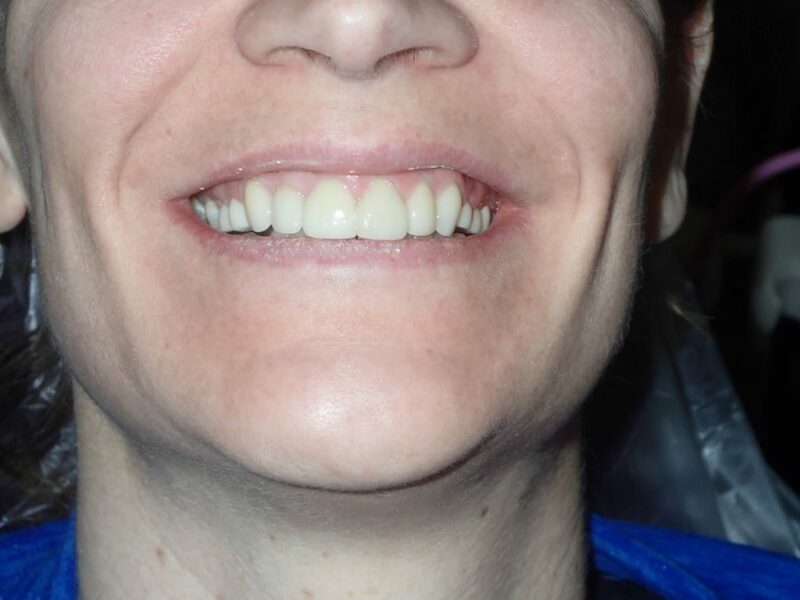 After talking over our options, we decided that the best course of treatment was the most conservative one; this consisted of crowns on the upper arch and a few fillings on the lower arch. 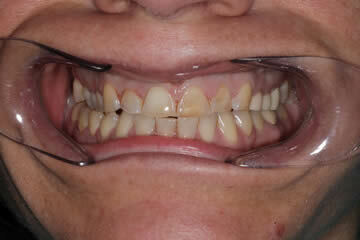 Maura before and after crowns treatment with Dr. Matt Walton DDS. 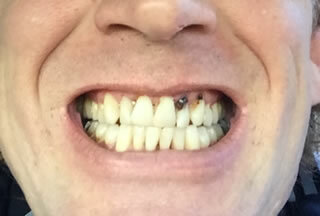 Rob's cosmetic dental treatment with Dr. Matt Walton DDS, consisted of decay removal, diet, and oral hygiene instructions, and crowns. 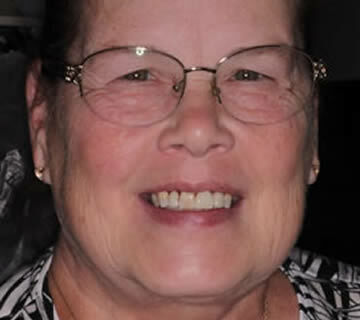 Judy was self-conscious of her smile and was missing front teeth. 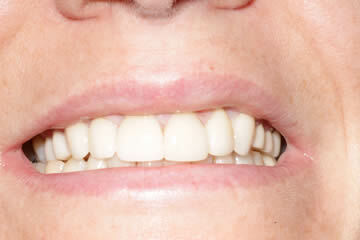 After placing 2 implants and crowns, the result looks very natural & realistic! 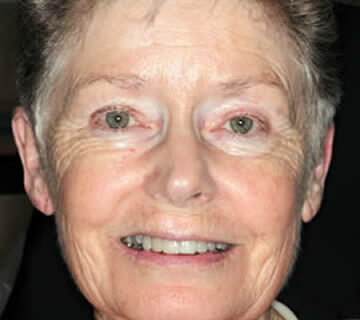 Judy before implants & crowns. Carolyn was missing her canines for most of her life. 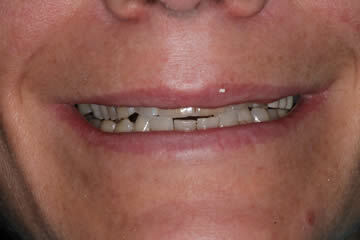 We placed two implants with crowns and two veneers. 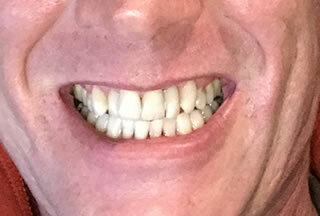 The result looks very natural! 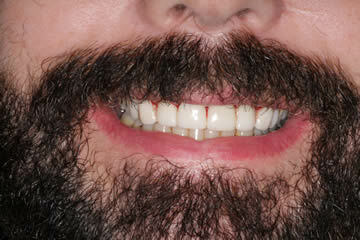 Carolyn before implants, crowns & veneers.